Building on the success of Issue 1, the content for Issue II is focussed on our clients telling their stories about their lives. 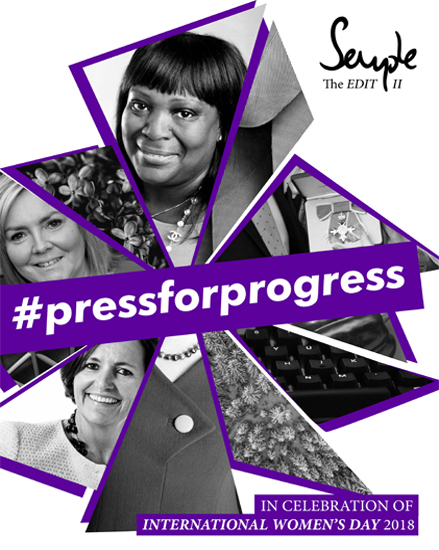 I think you will find their articles insightful and thought provoking particularly as this year’s IWD theme of #pressforprogress serves as a reminder that there is still much to do and much to celebrate about women in society. We always strive to have engaging content and compelling imagery in our magazines and this Edit is no different. I asked Dulcie, my Creative Director what in uenced her graphic choices for Issue II and she talked about Barbara Kruger whose work she has admired for many years. Kruger, a US artist uses the techniques of mass communication and advertising to explore a number of themes including, politics, gender and identity.